Truly, Special Counsel Robert Mueller ought to be in prison for life, and certainly not investigating a fake Russiagate lie that was started by the Clinton crime syndicate. What other crimes against the Republic is Mueller closely associated with? How, pray tell, does the dirtiest cop in America hold sway over the most fraudulent investigation of the Third Millennium? This is why the U.S. Criminal Justice System is now in shambles. Dirty cops like Mueller, especially when they are at the top of the law enforcement pyramid, can be used to profoundly corrupt the entire system. And so he has. Just look at the profusion of extremely negative media and true back stories that have come out since Mueller’s appointment. Let’s face it, this Mueller is one BAD dude! This is what many patriots think right now. But actually that’s not true. Many good things are coming out daily from the Special Counsel’s thoroughly corrupt Russiagate investigation. For instance, the whole country is getting a glimpse into just how criminal the FBI and DOJ really are. Not a day goes by where official criminality, prosecutorial misconduct, blatant malfeasance, willful negligence, misprision of felony and other very serious crimes are committed in broad daylight by the highest officers in the land. This ongoing crime spree is being witnessed by the American people in an unprecedented way. Such a flagrant display of Deep State criminality has never been exposed in this manner. 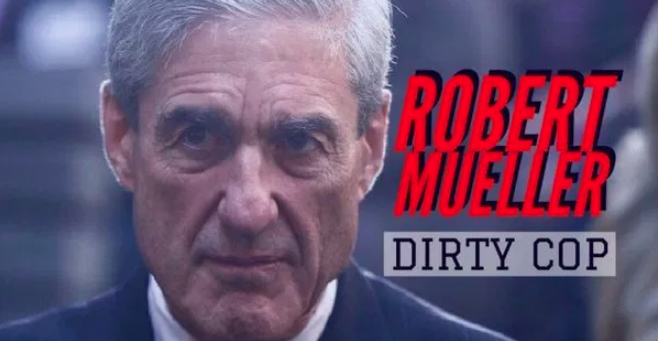 It just may be that this crooked cop Mueller is being used by the Highest Power to reveal just how the system works… against We the People and ALWAYS in the best interest of the power elite. Mueller, Comey, Wray, Rosenstein, Lynch, Holder, Brennan, Clapper, Hayden, Strozk, Page, Ohr, etc. We have all seen an extraordinarily corrupt camarilla of government con men who have manipulated and maligned a system of justice so as to commit outright treason. Each of these traitors (See photo above) is literally a hair’s breadth away from capital punishment so serious are their individual crimes and collective crime sprees. And they all continue to act as though everything is so cool. They still perform their official functions with absolute impunity…as though nothing can touch them. Hence, with each passing day their rap sheets only lengthen and intensify. You really can’t make this stuff up! It’s like each of these bad actors, with Mueller leading the race to the bottom, is a glutton for consecutive life sentences or the gallows. The following article well explains Robert Mueller’s professional MO as a lawman (really an outlaw). With law enforcement officials like Mueller, how does one separate the investigators and prosecutors from the criminals and crooks. The Washington, D.C. culture has devolved to the point where it’s virtually impossible to tell the difference between the good guys and the bad guys. An incorrigibly crooked DOJ official like Mueller has corrupted the whole system as the nation has watched him profoundly pervert the office of the Special Counsel. Robert Swan Mueller III is a longtime Deep State operative and law enforcement fixer. He’s a professional criminal and career con man of the highest order. President Trump must see to his expeditious termination before he does inflict extremely serious damage to the American Republic. Not that he already hasn’t. 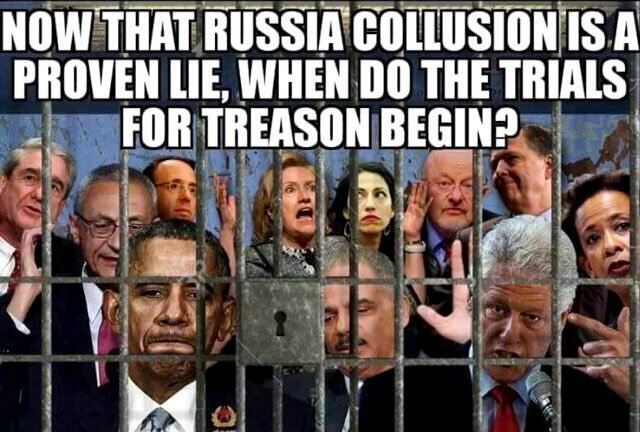 One critical measure that the POTUS can take to accomplish this necessary objective is by way of MILITARY TRIBUNALS: Why They Are Absolutely Necessary.